India is an agrarian country with around 70% of its people depending directly or indirectly upon agriculture. But farmers’ suicides in India is worrying. As per the Central Government despite a multi-pronged approach to improving income and social security of farmers, over 12,000 suicides were reported in the agricultural sector every year since 2013. Farmer suicides account for approximately 10% of all suicides in India. There is no denying that the menace of farmer’s suicides exists and runs counter to the aspirations of reaping benefits of our demographic dividend. In this article, we are analysing the farmers’ suicides in India and its related data, the reasons and the way forward. Farmers’ Suicides What do the facts say? The list includes farmers-cultivators and agricultural labourers. 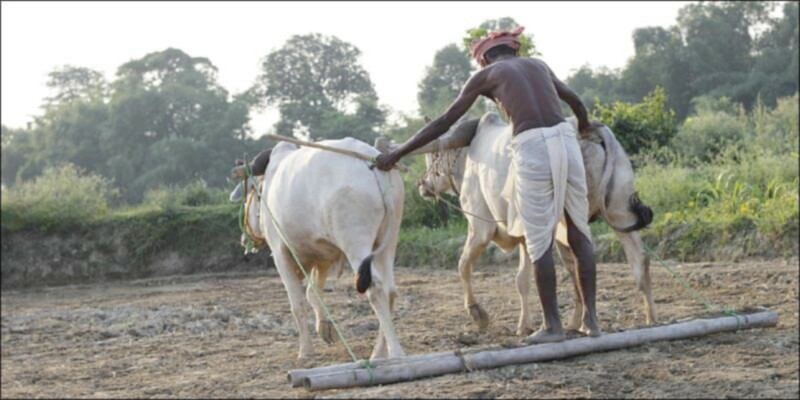 Seven states account for 87.5% of total suicides in the farming sector in the country. The states are Maharashtra, Karnataka, Telangana, Madhya Pradesh, Chhattisgarh, Andhra Pradesh and Tamil Nadu 606. Both marginal farmers and small farmers are committing suicide. Maharashtra is the worst affected state. Ironically, Punjab, which benefited most from the Green Revolution, also presents a depressing picture of farmer’s suicides in India. Between 1995-2015, 4687 farmers’ suicides have been reported from the state of Punjab of which 1334 from one Mansa district alone. What are the reasons behind farmers’ suicides in India? Scholars have given various reasons such as monsoon failure, climate change, high debt burdens, government policies, mental health, personal issues and family problems among the reasons of farmers’ suicides in India. Let’s analyse. The surge in input costs: A major cause of the farmers’ suicides in India has been the increasing burden on the farmers due to inflated prices of agricultural inputs. The culmination of these factors is seen in theoverall increase in the cost of cultivation, for wheat, the cost at present is three times than it was in 2005. Cost of chemicals and seeds: Be it the fertilisers, crop protection chemicals or even the seeds for cultivation, farming has become expensive for the already indebted farmers. Costs of Agricultural equipment: The input costs, moreover, aren’t limited to the basic raw materials. Using agricultural equipment and machinery like tractors, submersible pumps etc adds to the already surging costs. Besides, these secondary inputs have themselves become less affordable for the small and marginal farmers. Labour costs: Likewise, hiring labourers and animals is getting costlier too. While this may reflect an improvement in the socio-economic status of the labourers, driven primarily by MGNERGA and hike in minimum basic income, this has not gone too well with boosting the agriculture sector. NCRB data points out that in 2474 suicides out of the studied 3000 farmer suicides in 2015 the victims had unpaid loans from local banks. This is clear enough an indication for drawing correlations between the two. Whether or not the banks had been harassing them, however, is a long-drawn debate and needs more specific empirical evidence. Moreover, a shift away from usual trend also revealed that of the loans taken by these farmers, only 9.8% were loans from money-lenders. Thus the pressure or muscle-power of money-lenders could be far from being a major driving force, as is otherwise perceived. Another source of strong linkages between farmer suicides and indebtedness is reflected from the spread of the two. While Maharashtra had 1293 suicides for indebtedness, Karnataka had 946. Note that both these states saw one of the highest incidences of farmer suicides as well as indebtedness. Lack of direct integration with the market: Although initiatives like the National Agricultural Market and contract farming are helping integrate the farmers’ produce directly with the market, cutting the role of intermediaries, the reality is still lagging behind. Lack of awareness: The digital divide, as well as the literacy gap, has made the marginal and small farmers particularly vulnerable due to their inability to utilise the positives of government policies. This is reflected in the continued unsustainable cropping practices like cultivating sugarcane in water-deficit regions. Water crisis: The concentration of these suicides in the water-deficit regions of states like Maharashtra, Karnataka is a manifestation of how the water crisis and thereby failure to meet production demands have intensified the menace. This is particularly true in the backdrop of continued failed monsoons. Interstate water disputes: What has added to the already prevalent crisis is the unwillingness to cater to each other’s water needs amongst the states. A case in point is the recently resurfaced Kaveri dispute that saw Karnataka and Tamil Nadu battle out water shortage both in and outside the tribunal even to the extent of non-compliance with the tribunal award. India’s urban consumer driven economic policies: The political economy of India is driven more by the urban consumers than the rural producers. This is reflected in the urgency to impose price controls in case of price rise (imposing Minimum Export Prices, bringing items under Essential Commodities etc) and a lacklustre withdrawal once the price is under control. Contrast this with how we have been imposing minimum import price to secure our steel sector. This differential treatment to primary sector also limits profit margin and thereby hinders farmers’ chances of breaking free from the cycle of indebtedness. Loan waivers instead of restructuring, re-investment measures: Our approach of handling farmer indebtedness and hence farmer suicides has been appeasement politics like the recent move by the UP government to waive off Rs 36000 crore worth of loans. Surprisingly this comes at a time when agricultural yield is expected to be better in the wake of a good monsoon. In essence, the factors sum up to crop failure, unsustainable production and subsequent farmer indebtedness leading to failure of strengthening the economic state of the farmer as the driving force behind these suicides. Is Suicide a matter of economics? The National Mental Health Association of the USA states that “No matter the race or age of the person; how rich or poor they are, it is true that most people who commit suicide have a mental or emotional disorder”. Suicide is not a matter of economics. UPSC Prelims 2019 Test Series – Enroll Now and Get 40% OFF! 2006 relief package primarily aimed at 31 districts in the four states of Andhra Pradesh, Maharashtra, Karnataka, and Kerala with a high relative incidence of farmers suicides. Agricultural debt waiver and debt relief scheme, 2008 Agricultural Debt Waiver and Debt Relief Scheme in 2008 benefited over 36 million farmers at a cost of 65000 crore rupees (US$10 billion). This spending was aimed at writing of part of loan principal as well as the interest owed by the farmers. 2013 diversify income sources package In 2013, the Government of India launched a Special Livestock Sector and Fisheries Package for farmers suicide-prone regions of Andhra Pradesh, Maharashtra, Karnataka and Kerala. The package was aimed to diversify income sources of farmers. Apart from these Central Government initiatives, there are many efforts from the state governments side like Maharashtra Bill to regulate farmer loan terms, 2008 and Kerala Farmers’ Debt Relief Commission (Amendment) Bill, 2012. Policies of integrated pest management to prevent pest damage. An all-inclusive approach that integrates biological, chemical, mechanical and physical methodology should be used to prevent crop damage. In this case, seeking inspiration from Vietnam’s no-spray early rule(predatory beetles are sustained for a biological pest control, cutting pesticide requirement by 50%) can be a good way to start. Lower fertilizer costs Helping fertiliser industries cut down on costs, through internal funding rather than external borrowing should lower the input costs. Leveraging advancements in Science and Technology by ensuring that state seed policies focus on new genotypes, contract farming and sensitization to adverse weather conditions. Precision farming techniques like SRI (Systematic Rice Intensification) must be encouraged. Farm equipment policy must focus on imported equipment to provide for cheaper local manufacture, some incentives like grant of duty credit scrips may be tried. Subsidies must be rerouted towards capital generation and entrepreneurial Custom Hiring Centers (CHCs) and the implementation must be ensured in a timely fashion. Corporate Social Responsibility (CSR) must be encouraged in the agricultural sector, particularly towards capacity-building, skill development and the establishment of CHCs. Institutional financing must also be ensured to be adequate and inclusive rather than catering to the elites within the farming community. Cooperative farming must be promoted amongst small and marginal farmers to ensure that they are not left lurking while the big farmers reap the benefit at their cost. Doubling the farmer income by 2022 is a healthy aim, but loan waivers can’t be the answer. Instead, sustainable agriculture that thrives on re-investment & restructuring is the way ahead. The role that the state has been playing is one of emancipation, but what the primary sector and the farmer needs is empowerment. Early-warning signals for unsustainable loans to launch a 2-pronged approach catering to both the burdened farmers as well as stressed banks. Options for restructuring loans must be used wherever possible. Insurance claim settlements must be speedy and just. District wise list of indebted farmers and efforts in de-stressing them through counselling and other alternative mechanisms should be tried. NABARD and local administration must take control of the situation and play a greater role in curbing farmers’ suicides. Innovative efforts like Crowdfunding can be employed through the involvement of Civil Society Organizations (CSOs). Efforts like Agro-Climatic zoning, education through DD Kisan, Soil Health Card Scheme, various crop insurance and facilitative schemes like PM Krishi Sinchayi Yojana will go a long way in helping out.